I find myself returning again and again to the writings of Rainer Maria Rilke, a Bohemian-Austrian poet who passed away in 1926. There is something in Rilke’s words that strikes me as the highest quality to which a writer or artist can aspire. It’s a clarity and a purity that communicates something more than the sum meaning of the words. There’s a heartbeat in his language. 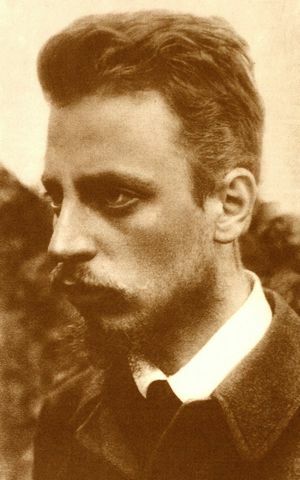 A sense that Rilke is whispering a secret in your ear. You can feel him. And you can feel that this was a man who was deeply in touch with his truth, with the rhythms as he felt them. Today, I don’t want to write anything too cerebral or involved. Today, I just want to share with you two passages that are among my most adored of anything I’ve read. Today, I just want to share two slivers of Rilke and meditate on their significance. This passage is taken from Letters to a Young Poet, a collection of letters Rilke penned to a young writer seeking guidance. The book is an absolute jewel in its entirety. Rilke speaks specifically of marriage here, but I think his words are applicable to any romantic relationship. For the past 16 months I’ve been in a profoundly loving relationship with an extraordinary woman. We are deeply compatible in so many ways, and yet there are also many ways in which we are markedly different. We are idiosyncratic individuals and have not sacrificed that which makes us distinct. We remain quite independent and each crave solitude often. This image of our relationship might seem somewhat contrary to our cultural ideal of two lovers attached at the pelvis, united in everything, sharing all experiences, and mirroring each other’s personalities. For Rilke, though, there is nothing dysfunctional about our situation. He calmly dismantles the idea that real relationships consist in finding one’s “other half,” or in finding someone who shares most or all of one’s characteristics, worldviews, interests, and dreams. In relationships where two people seem to have merged into one inseparable unit, Rilke asserts that what has happened is in fact a “mutual consent that robs one party or both parties of their fullest freedom and development.” In other words, in trying to share everything with one’s partner, in aiming to be but two sides of the same coin, we sacrifice our own wholeness, our own organic expansion. Said another way, we need not bemoan or grieve over the fact that our partners do not share our every perspective and passion. We need not take such a situation as an indication that our relationship is dissonant or lacking or somehow destined to fail. Rather, we ought to see our differences as characteristic of the inevitable abyss between any two human beings. We ought to love this abyss, Rilke says, for it is the very thing that makes each person inimitable, the thing that allows us finally to see and celebrate one another’s distinct natures. Once it is understood that this expanse must always exist, each person is free to become whatever it is they will become, unburdened by the need to shape themselves to fit their partner. And this individuation need not be a growing apart. For if each partner can remember the beauty and necessity of the expanse, then they can come to appreciate fully the other’s peculiar wholeness. Then they bask in one other’s secret godliness and “show each other the greatest possible trust,” aware that each has been seen intimately and loved nonetheless. Rilke implies that the fullest, truest love is not one which restricts or reshapes each partner in the other’s image, but rather, one which liberates each person to soar as they will, unencumbered, a world unto themselves. Here again, Rilke subverts our cultural expectation, which tends to insist that true love is something effortless. He suggests that the task of truly loving someone may be that for which everything else in life is mere preparation. Once more, Rilke’s words stab at me, surprising me with their honesty. Yes! Indeed, it is! Thank Buddha I’m not alone in feeling this way. Deep, mutually vitalizing love demands tremendous sensitivity, care, and kindness. It requires that we see and understand another person in ways that we may not even see and understand ourselves. It asks us to kiss our human shortcomings, to bring patience and compassion to any conflict. It invites us into a rather mad dance of perpetually discovering and rediscovering reasons to cherish a fallible being who will inevitably leave this world. It summons us to uncover what is inexhaustibly radiant within another soul and to remember that hidden radiance above all else, to safeguard that knowledge as if it were a holy keystone. And in fact it is a holy keystone. For if we can carry that knowledge with us at all times—if we can succeed in remembering the radiance once glimpsed—we will find in ourselves an unending reserve of devotion, a limitless willingness to persist in our love. It is this dedication to remaking love anew that ultimately births the patience, compassion, kindness, and understanding necessary for long-term relationships, or even a life of amor, a continuous song. 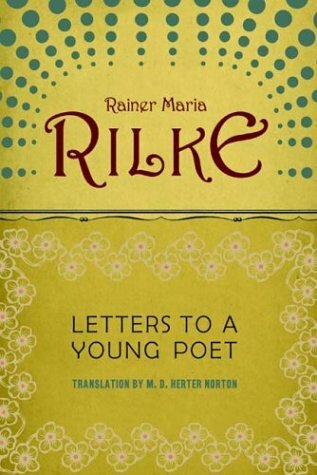 Rilke rightfully suggests that the realization of this song is the challenge of a lifetime. Hubris, stubbornness, and selfishness—qualities in no short supply among humans—must fall away to reveal something deeper, wiser: an oceanic Self of compassion, understanding, and equanimity. To experience this Self—and to share its rapture with another person—may well be the greatest purpose of human life. I suspect that I have glimpsed this Self, and every day, in my relationship, I try to summon the kindness and equanimity it spills forth. And I fail sometimes. We both do. We have petty disputes, rocky weeks, dissonant months. In those moments, we experience the “marvelous living side-by-side” of which Rilke spoke. And we see, I think, that this resolute journey in and toward love has been invaluable. No, something more: it has been a sacred grace. I love you, Marybeth. Te amo, saranghaeyo. 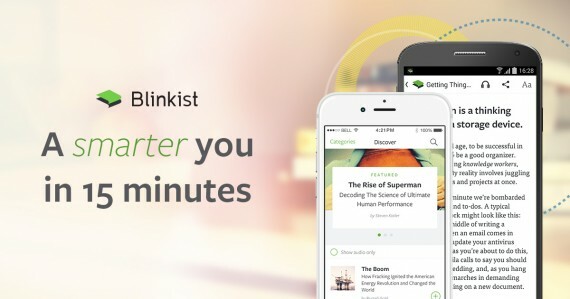 Refine The Mind is now on Patreon. If you appreciate my work, consider becoming a patron for as little as $1. The quotation you have from Rilke is lovely, and I searched for ages in my copy of Letters to a Young Poet trying to find it. Turn out, this quote is not from Letters to a Young Poet, but from a 1901 Letter to a friend, which can be found in the first volume of Rilke’s letters. Anyways, thought you might want to know this.